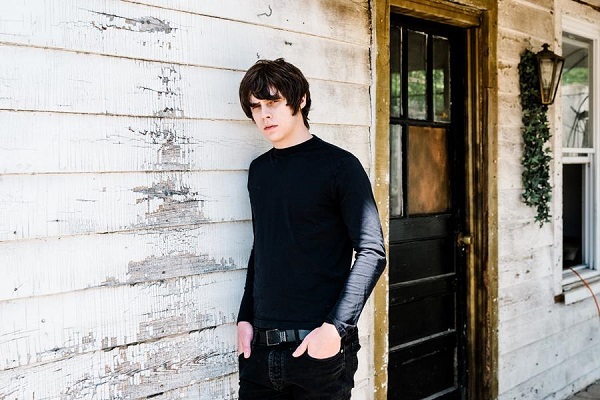 From release: Jake Bugg is set to release his stunning new album ‘Hearts That Strain’, recorded in Nashville, on September 1st via EM Music Australia. Working with Grammy Award winning producer David Ferguson and Matt Sweeney, Jake recorded the album in Nashville with some of the best players in the history of popular music. As part of American Sound Studio’s legendary house band The Memphis Boys, Gene Chrisman and Bobby Woods provided the chops on such pivotal records as Dusty In Memphis, In The Ghetto, Suspicious Minds and Dark End Of The Street, cutting their teeth in sessions with Wilson Pickett, Aretha Franklin and Dionne Warwick. At home in London, Jake gave us a call to discuss his new album, its creation, advice, touring, and more. You’re about to release your fourth album ‘Hearts That Strain’. What are the feelings like leading up to album release time? It’s like anything, nerves and anticipation and you never know what’s gonna happen and you’ve just gotta be patient and see how it comes and there’s nerves but I’ll be able to take my mind off it this weekend. It’s only been a year since your last, what was the process like putting this album together compared to your previous releases? Very different process, I think with the last record was one that I took a little time to get the production right, and I had two different A&R’s in the process of making the record so it wasn’t a straight forward record to make whereas this album was probably the easiest album I’ve made I just got in the studio with a couple of people I knew and some new people and had the songs and just went ahead in like five months. It was pretty easy really. You made this album in Nashville, what was the idea behind heading over there to make your album? Well I’d already met the producer a couple of years before, and my friend Matt Sweeny who played on my second album and knew some friends out there so I thought I’d go and work with them, I thought it might be pretty fun. The producer David Ferguson was really incredible and I feel he got the best vocal sound that any producer has gotten out of me, so when I heard it back I thought maybe this is the place I should make the record. Being active for only five years you’ve already done so much, is there a moment that stands out for you that so far can’t be beaten? It’s probably hard to tell, I’ve been lucky I’ve had a lot of amazing experiences being able to see the world and make music in the process, it’s hard to think of one thing, man, I mean headlining The Other Stage at Glastonbury at the same time as Metallica was pretty cool, and gotten to work with some of the people I’ve worked with like Chad Smith and the guys on this record was just fantastic experiences. I’d just say that the most important this is the songs really, I’m not trying to take it from anyone else that could be an influence but sometimes there can be a fine line between inspiration and imitation so I think that’s something to watch out for, so just the good songs I think. Obviously over time many things can change but what is the one thing that you’d say has stayed the same in your time together? I’d say the one thing that’s stayed the same is I guess my approach to music, it should be fun and not something that feels like work or a task, and so I’ve always had this approach to music where I don’t really work hard to write songs because if I do they’re not very good because I’m forcing it, but if I just let things flow naturally I find things are a little bit better. So in the five years of making music what’s the one thing you’ve learned about the industry that you never thought would be a part of it? Well unfortunately when I was young, I got signed pretty young and I didn’t really think about all the politics and compromises that would be involved. I thought it would be a lot more fun than it had been, but I guess hard work helps that and now I’m in a much better position where I enjoy it more and not doing as many shows all the time and I get the chance to make music a lot more. So there is a lot more politics and the lack of it’s not really about music anymore, it’s a business and it’s about product and commitment and not as much about the music unfortunately. So I have to ask, when do you think we might see you back in Australia? I’m hoping early next year, I’m excited to come back and we always love coming back and playing shows there and I’ll have a new album to play so hopefully early next year, yeah. Lastly let’s look ahead to the future, so finish this sentence for me, by the end of 2017 Jake Bugg wants to? By the end of 2017, Jake Bugg wants to be in division one on FIFA.